A delicious, grown-up winter treat, this Matcha White Hot Chocolate is an easy, cozy drink for cold days. 4 ingredients and full of healthy antioxidants! 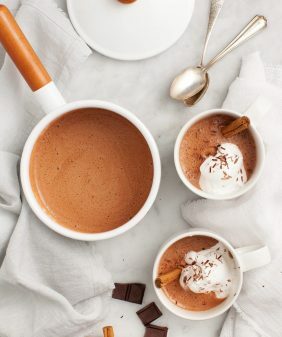 Hot chocolate always has to come with warm fuzzy memories, doesn’t it? I vividly remember being about 9 – otherwise known as the age when snow was fun. My sister and I would spend hours and hours building forts and making snow angels. We’d come in the house with red noses and leave our snowpants in a puddle at the door (you know, for mom to clean up). We’d sit down to mugs of Swiss Miss hot chocolate, no marshmallows for me. I might not have wintery white Christmases anymore, but here’s my fancy adult white hot chocolate that’s made oh so much more delicious by adding one of my favorite ingredients – matcha. 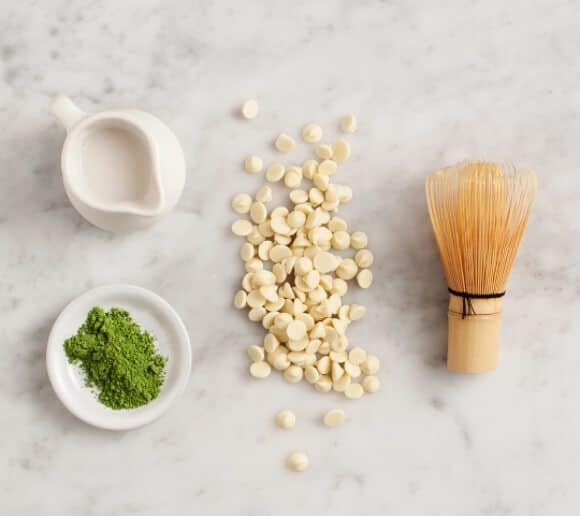 If you’re new to matcha, check out this matcha coconut latte post where I describe it a little more… or view all of our matcha recipes in our (now working again, sorry for yesterday’s glitch) recipe index. A delicious, grown-up winter treat, this Matcha White Hot Chocolate is an easy, cozy drink for cold days. Melt the white chocolate together with ½ cup of almond milk. Stir until smooth, then add the remaining almond milk. Set aside. Sift matcha into 1 cup hot water and whisk until combined and frothy. Stir this into the almond milk/white chocolate mixture and pour into 2 mugs. For a vegan option, make this matcha coconut latte instead. I’ve always been reluctant to buy matcha, mostly because I’m afraid it’ll be one of those ingredients that just ends up sitting in the cupboard, forgotten. But I think this recipe alone is enough to convince me to finally make the purchase! Looks delicious! Mmm… this sounds so good. I love matcha. Will definitely try this recipe asap. 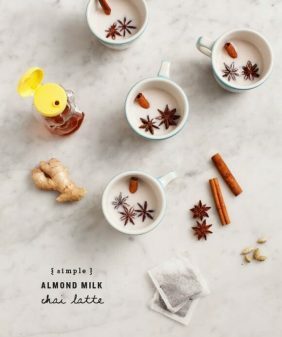 This is a purrrrfect winter drink! I love the combination of matcha and white chocolate. This looks PERFECT! This sounds so delicious! I’m intrigued and will have to try it out. By the way, do you have any favorite brand for vegan white chocolate? I don’t – I used regular white chocolate – maybe someone else on this thread has a suggestion? Oh my gosh this looks incredible. I recently discovered matcha and I’m going crazy for it now. 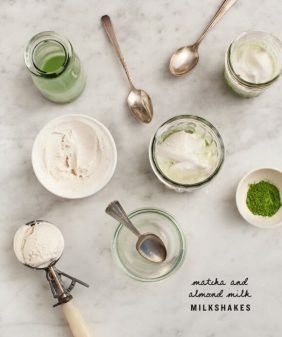 I’ll have to check out your other matcha recipes, they all look so great. Happy Holidays! Matcha and white chocolate … a delicious drink! I love it! This is the prettiest hot chocolate I ever did see! I haven’t tried a white chocolate version before, and the addition of matcha is so fun. Love!! 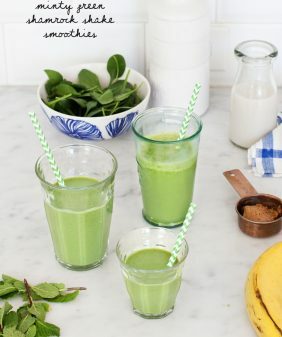 Mmmm, love matcha and your recipe sounds great, can’t wait to try it! Thanks! This looks incredible! I can’t wait to try it out. Do you know of any vegan white chocolate chips? I’m not sure, all the brands I’ve seen are packed with chemicals which is why I went with Sunspire ones (even though they’re not vegan). You should try out the coconut milk latte – it’s rich and creamy and vegan. O M G! This sounds like the best discovery since ever. Must be delicious! Matcha kitkats are so good! I was actually hoping this hot chocolate would taste like them as well. I’ll definitely have to try it. Wow, beautiful pictures and an even better recipe. Sounds incredibly delicious, need to stock on matcha asap! 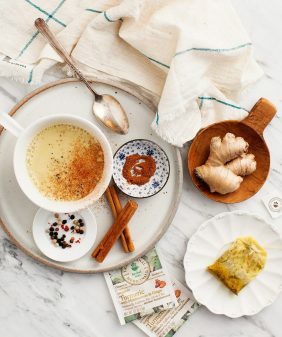 You have the best matcha recipes – a girl after my own heart. I just want to come to your house for a day of matcha recipe tasting. Starting with this matcha hot chocolate. It’s official: matcha is the new kale. 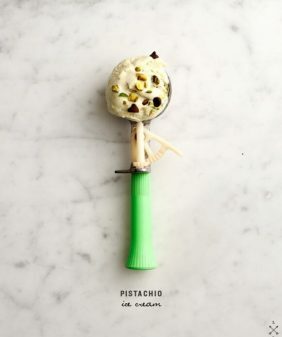 A matcha beverage shop just opened in Brooklyn, Bon Appetit featured matcha cookies in their Christmas cookie lineup, and now this thing of beauty. I think I’m gonna like this trend! I tried your Matcha Coconut Latte and didn’t really like it. But I decided I might as well make this as I happened to have everything. It’s good! Thanks for the recipe! wow! I have been on a tea kick since the new year and now I must get to the store for matcha to make this! thank you for sharing!! Ugh, two of my favorite things combined. I need to try this!! This looks delicious! 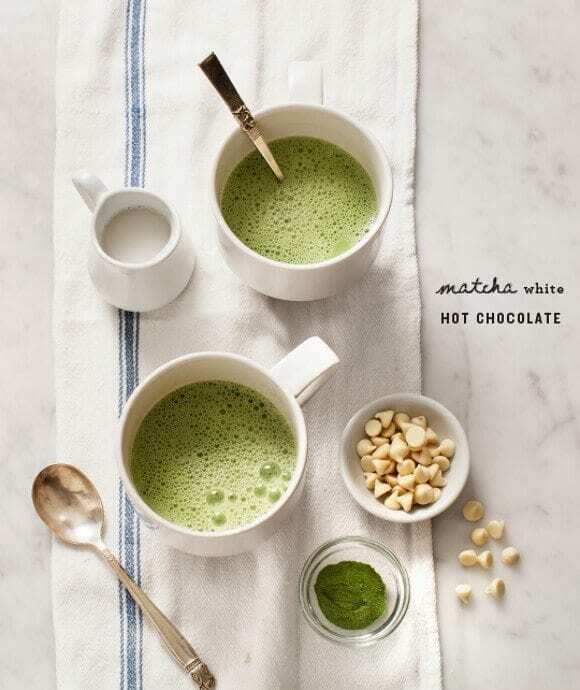 Do you think the Matcha hot chocolate would work with dark chocolate instead of white? Aiya is too expensive for me would it work with other brands? My hubby bought a brand called enzo from amazon last week and I’ve tried it with this recipe, it was great but I still want to check. This would be great to make for special occasions such as st. patricks day! Cant wait to take a sip! !